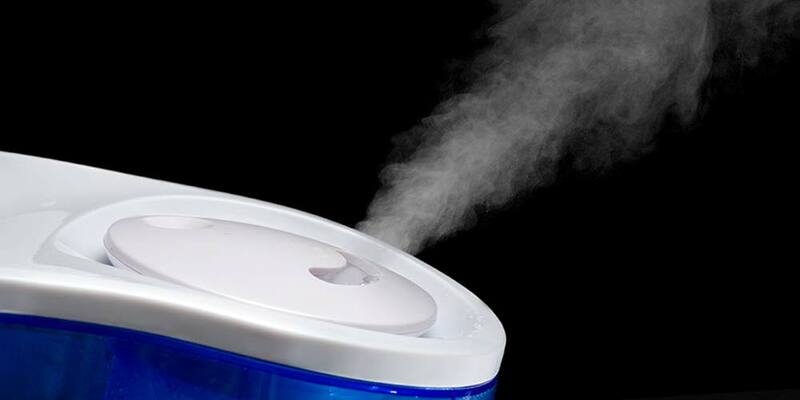 Moisturizing the air in your home with a humidifier or vaporizer is not only an effective way to make your living conditions more comfortable, but it can play a key role in helping to alleviate symptoms of a variety of health conditions. Below, we list out ten of the most common reasons why you should consider using a humidifier to moisturize the air inside your home or office. Dry air may cause a wide variety of unpleasant symptoms to your skin. When forced-air heating is running and causes the humidity levels to dip down to between 20-30%, or the weather is particularly dry, your skin starts to lose its moisture. This can lead to your skin feeling tight, dry, itchy and flaky. The skin on your hands is especially vulnerable to this loss of moisture, because it has fewer oil glands than other parts of your body. Lips are also composed of tender skin, therefore they tend to chap more easily and frequently when the air becomes drier. If left unaddressed, your lips may even start to crack as a result. While hand lotion and chap-stick can help you regain the lost moisture, using a humidifier to add moisture to the air in your home can also help naturally rehydrate your skin. Not only does this help alleviate the common symptoms associated with dry skin, but can also provide a wide variety of other benefits. When exposed to indoor air that has too little moisture, it’s possible for your vocal chords to become dry and scratchy. If these conditions persist and your throat continues to feel irritated for long durations, it’s possible that you may become hoarse and lose your voice. This is especially true if you were recently exposed to the flu or a virus. 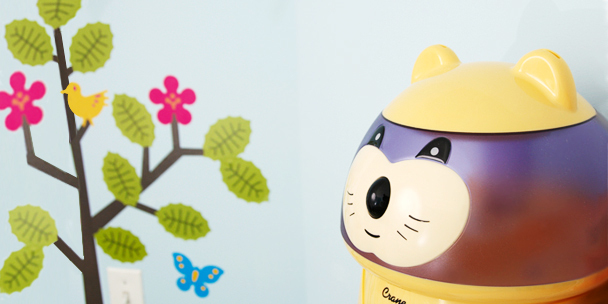 Humidifiers have also been shown to be an effective tool in the fight against croup, a childhood virus that causes inflammation in the upper airways and leads to a barking type of cough and hoarseness. Maintaining the optimal levels of humidity in your home can help lubricate and soothe your throat. Which in turn, helps minimize the dryness that can lead to inflammation in your windpipe and voice box. Low humidity is notorious for drying out your sinus passages. It’s a terrible feeling when it happens and, in worse case scenarios, can possibly lead to discomfort in the nose, sinus pressure, headaches and even bloody noses. 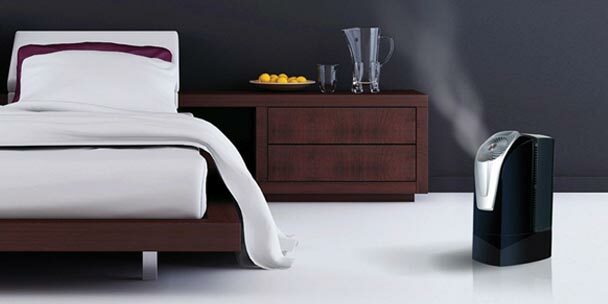 Everything you should know before you buy a cool mist humidifier. Contrary to what many people may think, when your nose is stuffy, humidity is another natural way to help clear it out. This helps because because the moist air helps keep the mucous flowing, decreasing the chances of you suffering from stuffed up nasal passages. Having the optimal levels of humidity in the air can not only help soothe your sinuses, but it also helps decrease your chances of getting a bloody nose and allow you to clear out the excess mucous so you can breathe more freely. 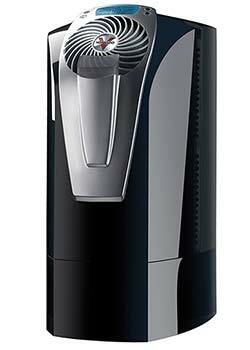 Using a humidifier can also help you avoid getting the flu in the first place. A study by the National Academy of Sciences found a strong correlation between dry conditions and the transmission and survival of the influenza virus. Researchers found that when the amount of absolute humidity in the air was too low, the flu virus was able to survive longer and be spread easier amongst everyone. By using a humidifier in your home during flu season, you are more likely to create an environment that is less favorable for influenza to survive, thus decreasing your chances of catching it. Of course, there are many other things you can — and should — do on a daily basis to help prevent yourself from catching the flu. Notably, this would include washing your hands as often as you can, as well as disinfecting all the areas in your home that are frequently touched by others, such as the door knobs. If you have a cold or the flu, a humidifier can help ease many of the unpleasant symptoms that come along with being sick. These symptoms may include breathing difficulties, stuffed-up nose and a dry, painful throat. Keeping these side effects at bay with a humidifier or vaporizer not only helps you get some much-needed rest, but it may also help you speed up your overall recovery time. 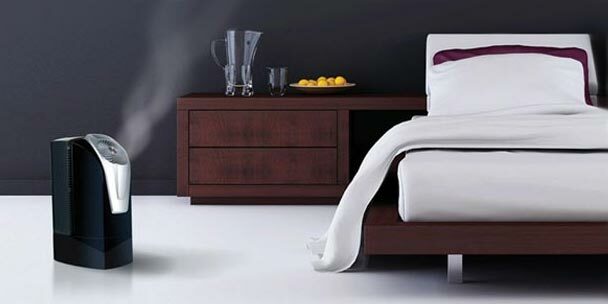 Humidifiers help keep the cilium in your nose healthy and effective. These microscopic cellular strands are located inside your nasal cavity and act as your first line of defense against many illnesses. As you breathe, the cilia and mucus inside your nose help trap some of the pollutants floating around in the air. This may include dust, dander, mold, and all sorts of other particulates that you don’t want to enter into your lungs. When the air you breathe is dry, the cilia is unable to do their job as effectively as it should. Many people don’t realize that dry air can actually contribute to — even increase the severity — of your snoring symptoms. This happens because insufficient moisture in the air causes the throat to swell and the nose to become congested. Once this happens, the air movement through your nose becomes restricted. This causes you to breathe through your mouth and you then snore. Having the optimal levels of humidity in the air can ease the dryness, and ultimately reduce your snoring. 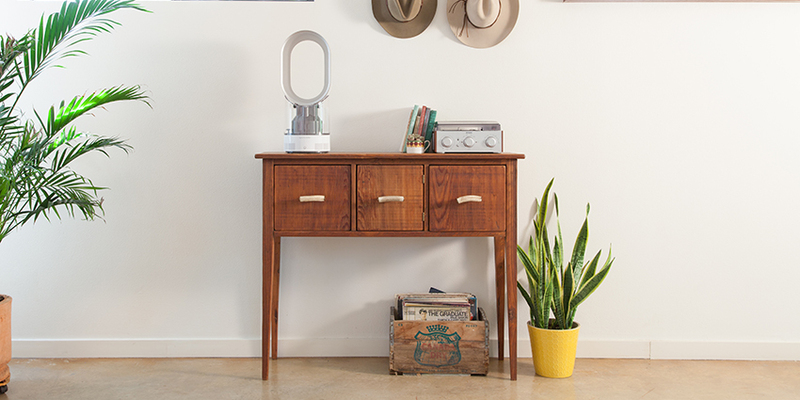 The moister the air is in your home, the warmer it will feel. On the flip side, drier air tends to feel chillier. Having a humidifier running in the winter will help keep temperatures at a comfortable level, without putting extra strain on your heater. In fact, it’s recommended that you use both of these appliances in tandem when the temperature starts to drop. Humans aren’t the only ones that benefit from moist air. In fact, many of the most popular houseplants come from the jungle, which means they thrive in environments that have an abundance of moisture in the air. When the air is too dry, it can cause also issues for the plants, including leaf loss, dry leaf tips and stunted growth. 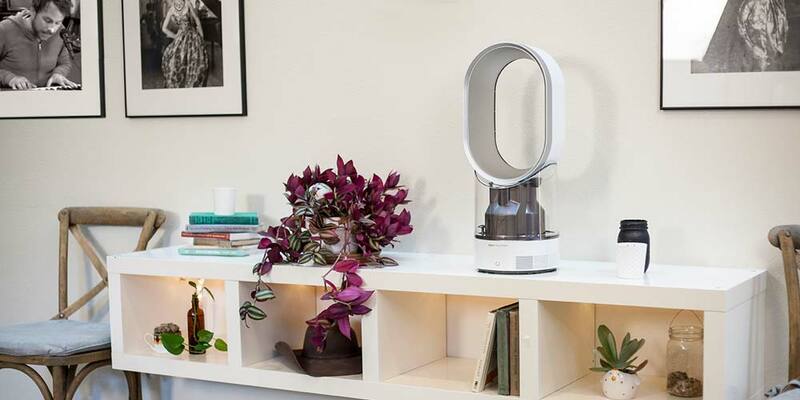 Obviously, this will all depend on the type of plants you have in your home, but using a humidifier gives your indoor garden a better chance of thriving. Wooden elements, such as flooring and furniture, react negatively to fluctuations in humidity. When wooden items become too dry, it’s possible for them to crack and split. If you have the optimal levels of humidity in your home, you also protect the suppleness and integrity of your wood furnishings. 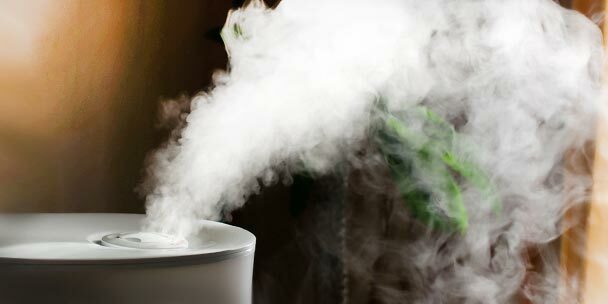 Why do you use a humidifier? We’d like to hear more reasons in the comments below.